Hi Lauren! Tell us a little bit about yourself. Hey everyone! 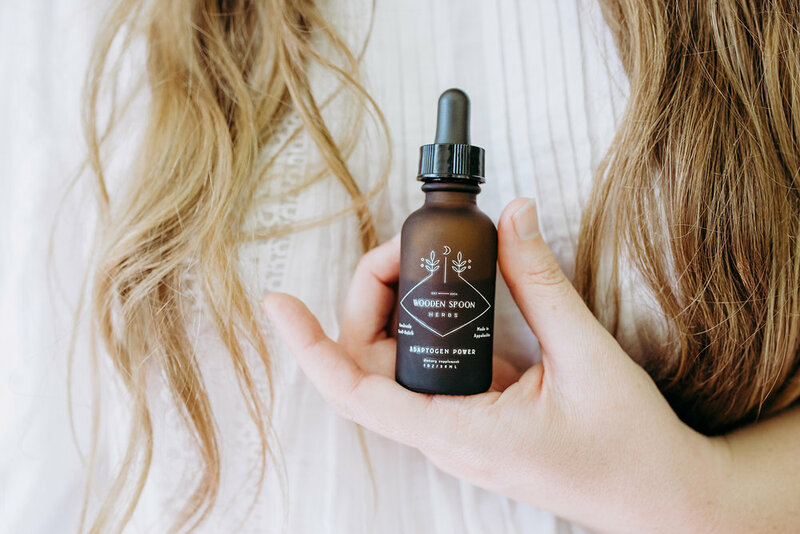 I'm Lauren Haynes, an herbalist, writer and product maker. I have a product line called Wooden Spoon Herbs where we make organic small-batch herbal remedies from plants grow on small medicinal herb farms. My background is actually in writing and journalism. I was working freelance and waiting tables when herbalism piqued my interest, and it kind of just took over my life. I was devouring herb books in my free time and then decided to try my hand at making and selling handcrafted herbal goods. What led you to start Wooden Spoon Herbs out of your own herbal practice? I've always had a deep desire to be self-employed, and that was always in the back of my mind. But really, with my herbal work, it was just discovering that there was a need and a desire for locally made herbal medicine, and that it could really work. Thanks to the Internet I knew there were woman my age out there doing similar things, and that was really expansive to me. I started selling at the farmer's market and got a small following really quickly. As a small-batch herbal apothecary, where do you source your herbs from? How does your region impact what you produce? When we first started, my goal was to grow or forage everything we used. And we did! I even made my own vinegars for our fire cider. We sourced everything from our garden, the woods and local farmers. I really wanted to highlight the botanical bounty of Appalachia, especially the lesser-known plants. But as we grew, that model became unsustainable, not only for my time, but of the plant resources themselves. It takes a lot of plant material to make a tea. How do you go about coming up with new products? It's kind of a happy marriage between what I want to make and what I'm hearing there's a need for. I usually poll the crowd on social media about new ideas I have. It's largely intuition backed by yes's. Then I sit down and sketch out formulas and possible ingredients and experiment with those until the blend has the desired effect and tastes good. When your business started to grow through wholesale and on social media, what shifts did you have to make? Well I kind of put the cart before the horse and quit my day job before I really had a wholesale line or a plan. Then, in order to make that work, I launched my wholesale line. Before that I was just making special, limited edition products with wild and garden-grown plants. Very seasonal. As my business grows, the biggest change is needing more space and hands on deck. For the first three and a half years, it was only me doing every job. Now we have a team of five. How would you suggest people start using and understanding herbs and what works best for them? Read everything you can get your hands on. Find one herb and get to know it well. Seek out local teachers an herbalists and learn from them. Go on plant walks. All the feedback I get from people my products have helped. And getting to create things. And having a wonderful team. What challenges do you face with Wooden Spoon Herbs? Since I have no formal business training, everything is new. I'm constantly learning and being met with different challenges. Constantly. It can be exhilarating but also entirely exhausting. Trademarks and taxes and hiring and marketing are recent challenges. Well, if we don't support each other, who will? It's a man's world and they're not looking to lift us up. Women have supported me at every step of the way. I've only worked with other women on this business, except for my boyfriend who came on board last year. I also got so much wonderful mentorship from my friends Leyna Allred of Urb Apothecary and Beth Kirby of Local Milk. My mom, grandmothers, sister-in-law and my niece. My dear friend Ali Banks. Countless others. Do you have any resources that have been helpful to you that we should know of? What have you learned from creating your own business that you think can apply to any creative endeavor? Keep at it and you can only improve. This year I'm trying to learn a musical instrument. I can bang around on the guitar but I want to actually figure out what I'm doing. What are some of your favorite places in Northern Georgia? Little River Canyon, Pigeon Mountain, DeSoto State Park, and all of the Blue Ridge side of the state.